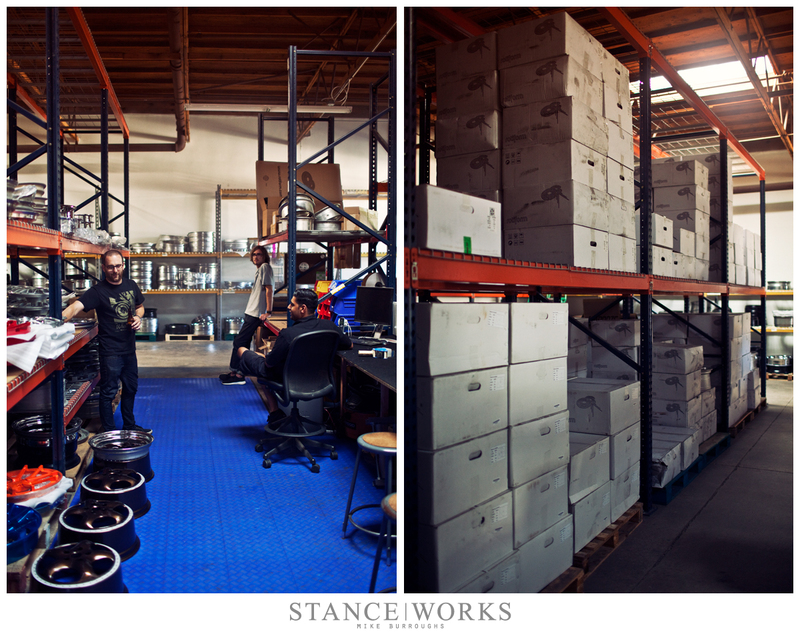 There's no better way to end the work week than with some shop talk and a couple of beers; it's a globally-accepted way to bring in the weekend, and as such, we paid a visit to the Rotiform HQ to catch up on the latest. With plenty of new designs of their own, and countless classics from all walks of wheel history about, there was no shortage of goodies to admire and appreciate. The most recent line from Rotiform is the Monolook series, which blends the style of monoblock wheels with the function and modularity of 3-piece construction. 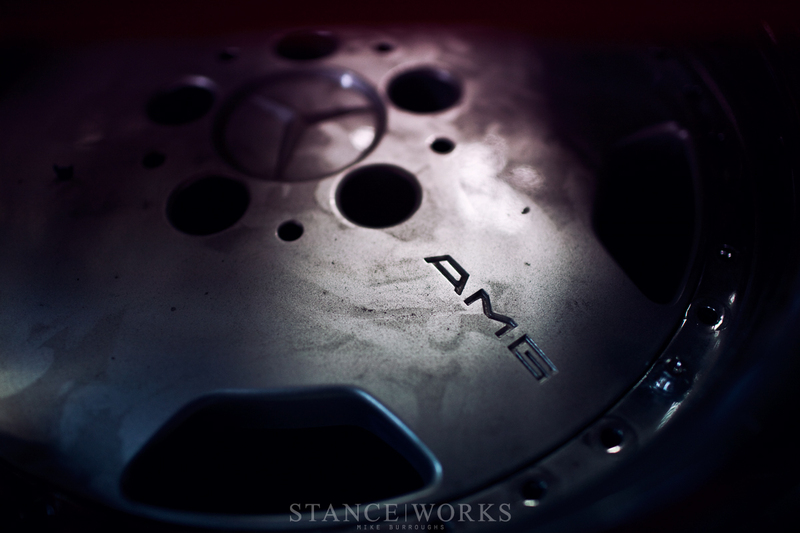 At first glace, the wheels appear to be a single-piece forged wheel; however, upon closer inspection,the parts and pieces that comprise them become apparent. 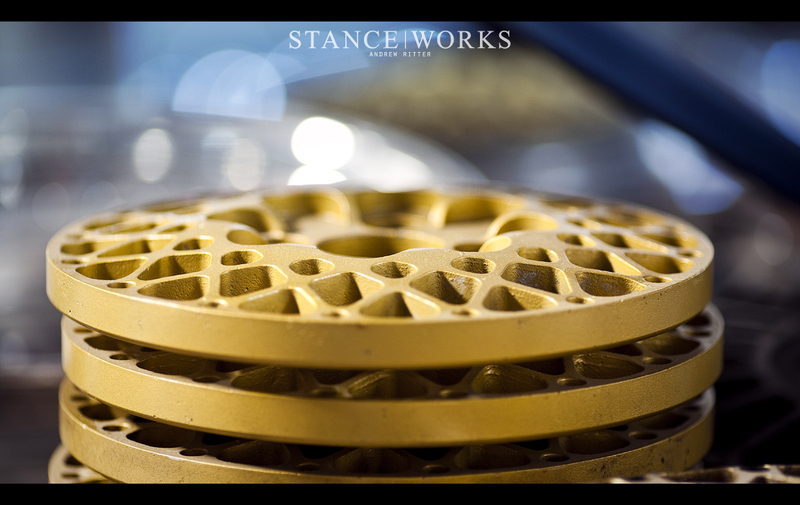 The advantages are numerous, with the most obvious being the simplification of the idea behind monoblock wheels, and Rotiform's mission to broaden the spectrum of the market. Of course, that doesn't mean they've departed from what they've become known for. The TMB has escalated to the Rotiform "top dog" of the 3-piece line, and it's obvious why. The cast BLQs and NUEs are selling as fast as ever, and have now been met with the new cast SNA (which unfortunately wasn't at the shop while we were). Everything in Rotiform's wheel line seems to be a hit, from the newer BTHs to the ROC, one of their first 3-piece wheels to launch (And still one of my favorites, I might add). It leaves Rotiform standing as one of the few manufacturers with success across their entire wheel range, which is noteworthy for many reasons; the main one being that 3 years ago, no one even knew who "Rotiform" was. 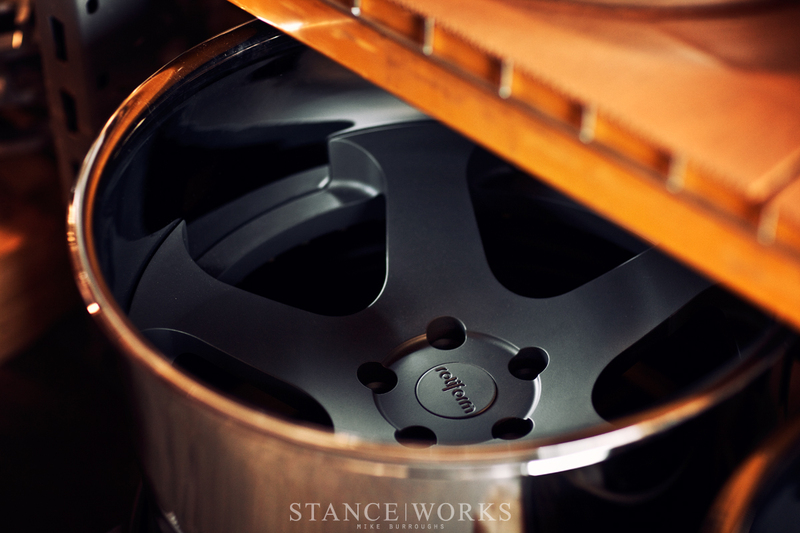 Yet, as we've said before, part of what makes Rotiform special is that they are, in fact, true wheel guys. 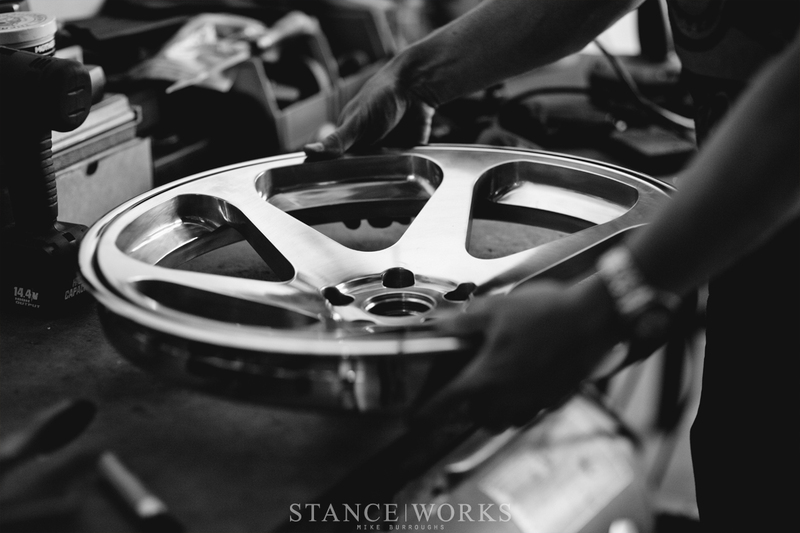 They live by the idea that the wheel is far more than the "simple machine" we were taught in grade school, and respect it for more than its money-making abilities in todays automotive society. 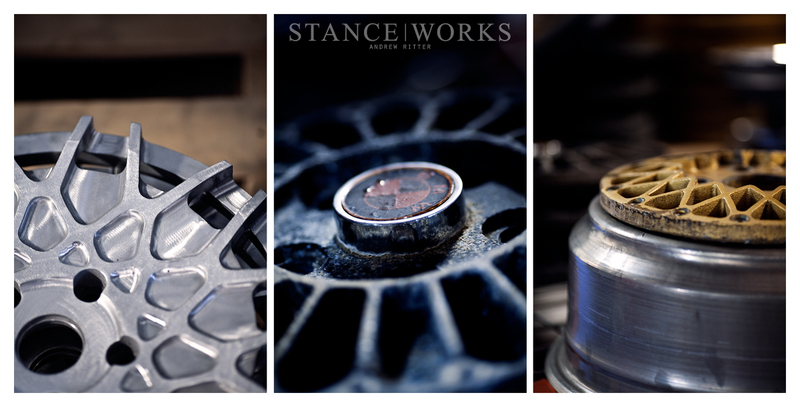 They know their roots, the history, and the classics of the wheel game. 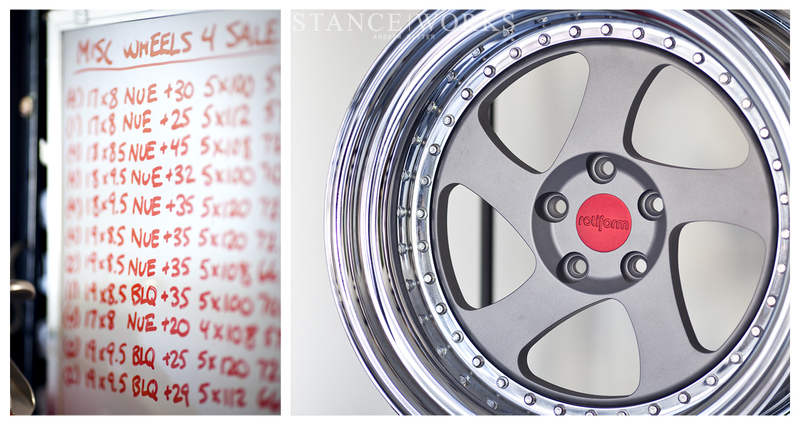 A measurable part of Rotiform's business comes from the preservation of the classics, rarities, and odd-balls of wheel history. It seems as though they can track anything down, modify it in whatever way you deem necessary, and leave you with a truly unique set of wheels. From re-barreling to upsizing, redrilling to simple restoration, they've got everything covered to keep wheel nuts happy while supporting their new, growing company at the same time. 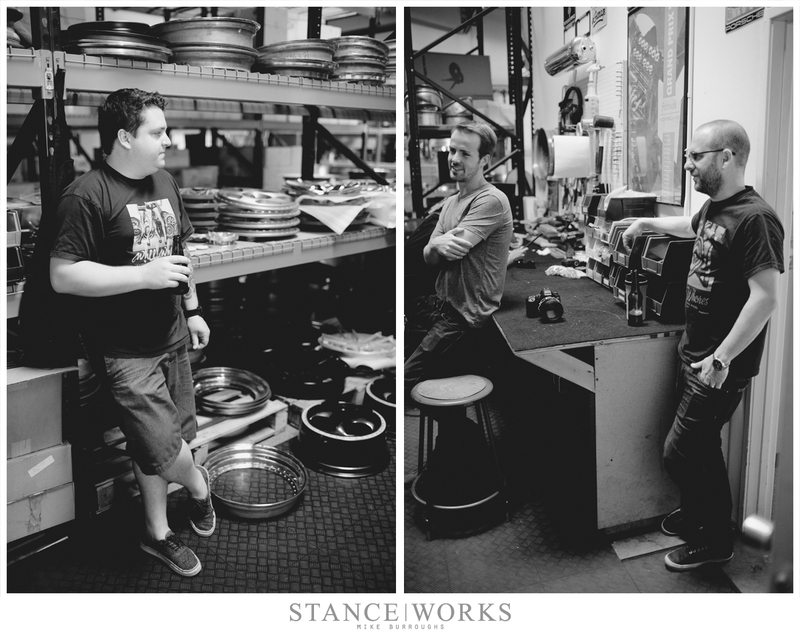 But aside from their admirable acts of wheel preservation and their constant push forward as a new entity in the wheel market with a one-of-a-kind-style, Rotiform's Brian and Jason happen to be true car guys at heart, and it's for that reason we find ourselves kicking back on a Friday afternoon. As always, Rotiform has plenty in store for the coming months, including their latest Audi 50 project, which will be unveiled at the Avila Motoring Invitational this weekend. SEMA is sure to be impressive, just as it was in 2011. And something tells us these gems tucked away on the shelves of wheels waiting for the new owners will be going on something truly impressive. Where are the machines that actually make the wheels? 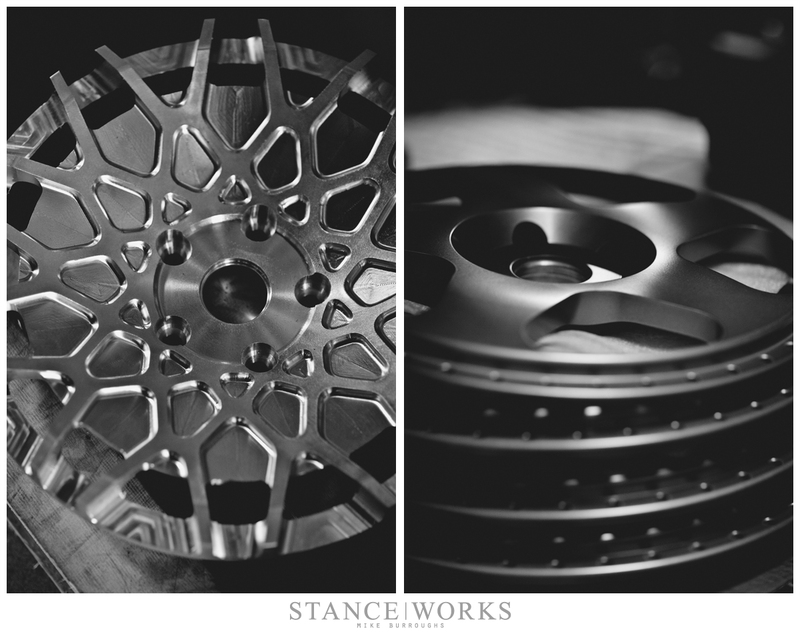 @FrenchFiredPataters – This is an old article (circa 2012), but you are correct…MHT now owns and manufactures Rotiform Wheels.